COME TO OUR AUCTIONS AND SEE WHAT TREASURES AWAIT YOU. A storage auction is the only way that a self-storage facility can legally clear a unit in order to be able to rent it again. When a unit remains unpaid for a period of time, and multiple contact attempts have failed, facilities begin the process of placing a unit in lien. 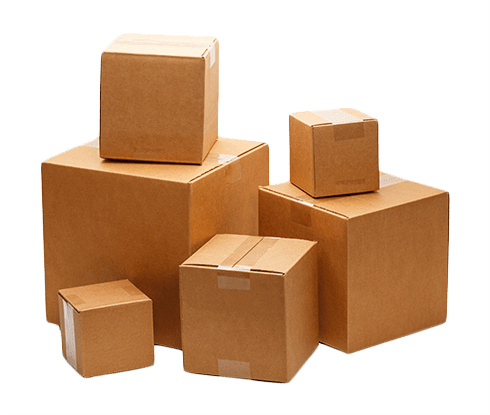 K&L Storage follows a very strict process dictated by state law that includes registered mail and public postings. Any tenant can keep their unit by making a payment any time before the close of a sale. K & L makes every effort to ensure tenants keep their belongings. Unfortunately, there are times we are unable to reach a tenant for payment and an auction is scheduled. When a unit remains unpaid for an extended period of time, and we are unable to reach a tenanted for payment. After multiple failed contact attempts, we must begin the process of placing a unit in lien. Auctions are typically held four times a year. The auctioneer allows all of the bidders time to examine the unit being sold for a few minutes before the auction begins. Bidders have to view the unit from the outside in order to expedite the auction process and to prevent the removal of items. We usually have 15-40 units in an auction. Anyone over the age of 18 can buy a unit at one of our auctions. There are no special terms or licenses necessary to bid on a unit. All bidders will be required to sign-in before bidding begins so make sure you arrive early. You will get to examine the unit before bidding begins, but you will not be allowed inside the unit. If you win, you will be expected to pay for the unit as soon as the auction is over. A refundable cleaning deposit of $60 must be given at the time of payment. You will have 48 hours to empty and clean the unit after you have won. Once the unit has been cleaned you may collect your deposit at the main office. If your unit is not empty and clean by the following Monday, your deposit will no longer be refundable. Upon payment, you will receive a bill of sale for your records and a temporary access code for your unit. The legal process can take up to 60 days, and tenants can bring their units up to date at any time until the auction is complete. The number of units in the auction can vary. In the State of Wyoming, storage facilities are required to publish a legal notice with a brief description of the contents of the units up for auction. Inventory and pictures are taken from outside the unit. Certain items (vehicles, firearms) have different requirements that compel us to enter the unit and get additional information. Otherwise, K & L will never, enter or go through units prior to auction. Join our email list to be notified of upcoming auctions, dates and get inside info on potential auctioned items. OUR LOCATIONS MAKES IT EASY FOR YOU TO FIND ONE CLOSE TO YOU.